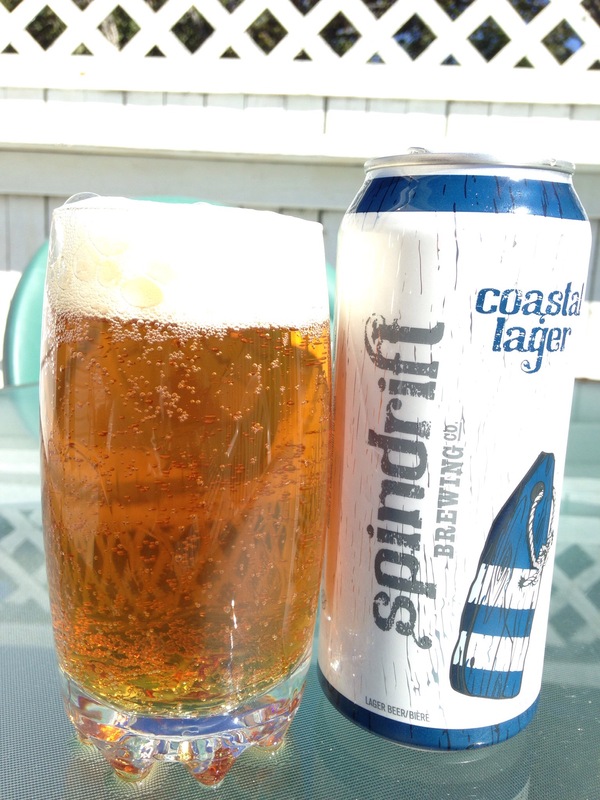 Nova Scotia’s newest brewery, Spindrift Brewing Co., located in Dartmouth, NS, has just launched its first beer this week. Coastal Lager is an amber lager described as a Festbier and is not your everyday lager. From the brewery: Coastal Lager is a bright amber lager that has unique toasted and earthy qualities. This German-style Festbier converges speciality European and Canadian malts with noble German hops to create a natural clean finsih that can only by obtained by using the traditional lagering process. Appearance: Clear, golden-amber with a creamy big off-white head. Lacing on the glass last to the last drop. Aroma: The aroma is sweet with beautiful caramel malt richness. Slight hints of dark tree fruit with no notable hops. Taste: The caramel malt in the nose doesn’t shine in the flavour, which is dominated more by the bitterness. The German hops give a earthy-floral finish with just slight spiciness. The caramel/toasty flavour comes in on the backend of the flavour leaving a lovely finish on the palate and draws the flavours all together. Mouthfeel: A fairly light bodied beer with just the right amout of carbonation to keep it light and easy drinking. Overall: Very well done. Clean and dry with a wonderful finish. This is a beer that can be consumed by the litre and probably should be. Execlent showing for this new brewey’s first showing. Can’t wait to see what Spindrift does next.